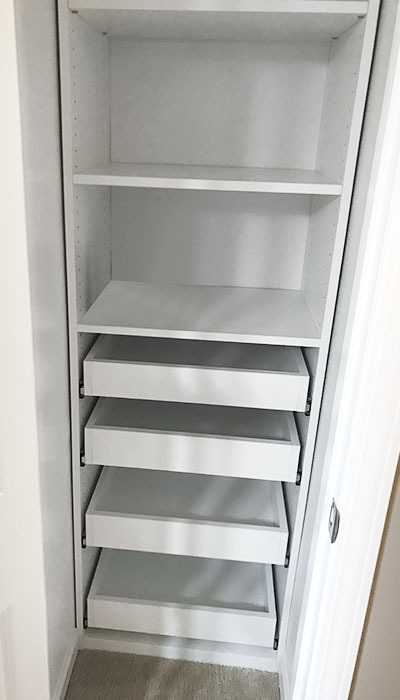 This custom reach-in closet system was designed to accommodate desired bathroom storage by utilizing a small nook behind the door. The modestly-sized alcove offered potential for a simple, yet transformational organization system to make maximum use of the available space. 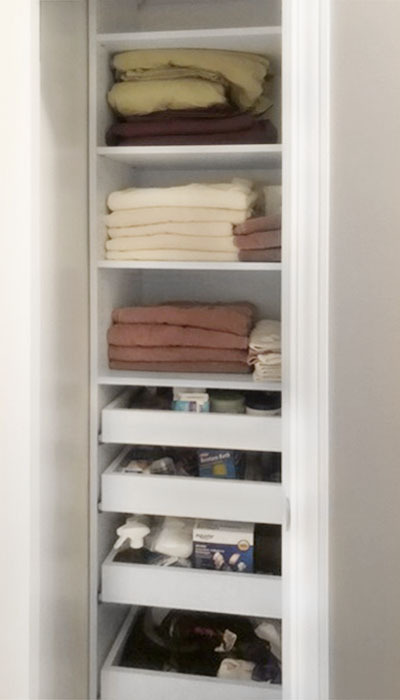 Linen and towels fit perfectly on the shelves, while pull-outs provide access to toiletries and items too large for a medicine cabinet. The versatile pull-out shelves are customarily used in pantry storage systems to ensure that small foodstuffs don't get lost in the back of the cabinet, but they are equally as useful in the bathroom as the perfect "behind the door" solution to tight storage space.